Welcome to authentic Gamer Dating. For the love of the UK gamer. Welcome to LFGdating, the UK's only 100% custom-built, premium gamer dating site on the Internet. Founded by a High School English teacher and a Marine Corps officer over in the States, LFGdating is a quickly growing UK gamer dating site that wants you to have what you want - when what you want is another awesome person (gamer?) around. Whether you're looking to meet a gamer to join you on a grind through Azeroth or one to spend the rest of your life with, then you've landed in the right place. LFGdating is the #1 gamer dating site on Earth, and the #1 social network for gamers, period. So what are you waiting for? Click here to get started, and welcome to LFG! LFGdating is gamer dating and geek dating without the stereotypes. We've all been there - you know - creating a profile on one of the big box online dating websites, only to start wondering what your matches will think once they read that you're a gamer. Will they message you back? Is it even worth your time? Even worse, how often do you hide the fact that you're a geek or gamer on one of those sites? Honestly, it's dumb that we even have to deal with it, but with LFGdating those sterotypes are now a thing of the past - we're all gamers here, so whether you like to nerd out on Stardew Valley or simply like retro gaming on the weekends you're in the right place. LFG protects your personal information like it's Top Secret information (it IS) with site-wide, 256-bit SSL encryption courtesy of the fine folks over at SSL.com, and with the green padlock in your browser's URL bar to prove it. Casey and I not only talk to our customers and users, but we actually LISTEN and RESPOND (24-hour member guarantee) - we're known for hosting game-changing AMA's on Reddit.com, which is something you'll never see from our so-called competition. LFG is serious about finding you love, and that's why we offer it as a premium service. Premium translates to: zero spam, zero advertisements, real people with real profiles, and authentic conversations from the start. So get started! In CNET's Summer 2016 print edition, author Ian Sherr’s article, Love Match? surveys several niche dating sites, and LFGdating made the cut. Writer Joel Lee over at the ginormous entertainment website that is Makeuseof.com featured LFGdating in "3 Gamer Dating Sites for Finding Geeky Dates". Geektime.com, quite possibly the biggest geek related news site on the Interwebs just dropped a stellar LFGdating review in November 2016 - check it out now! Yet another great review of LFGdating from the long-standing online dating review experts over at CupidsLibrary.com in November 2016. Thank you, Cupid's Library! 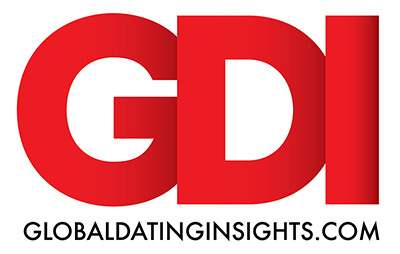 Emma Woodley at Global Dating Insights - arguably the de facto online dating news source in the world - offers an excellent review of LFGdating that you simply can't miss. Thank you, Emma! One of our first reviews came from Britt over at BlondeNerd.com, who has been blogging since 2010 and has been an expert in the gaming industry long before that (IGN ring a bell, anyone?). Thank you, Britt! Ready to meet a gamer and find love? Click below to register or log in! LFGdating®, or "Looking for Group" dating is authentic Gamer Dating for the UK gamer.